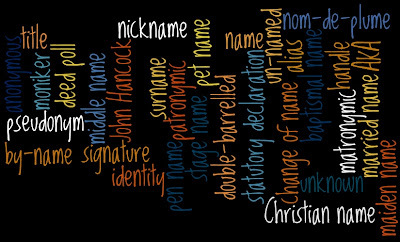 The Family Recorder: What is your 'real' name'? What is your 'real' name'? I'm always intrigued when people talk about a person's 'real' name, as though it is something fixed, like your eye colour or your fingerprints. But if you think about it, your name is just a label that is attached to you, usually at birth, by someone else. The name chosen for you is usually defined at least partly by convention, and partly the choice of the parents, but it's still a label. It is probably more accurate to call it your given name, and the convention in the English-speaking world is that you have a surname, which is your family name, and one or more first names. And that's pretty much it, at if you are male. If you are a female, you are generally expected to adopt your husband's surname when you marry, but you don't have to. The world in general is likely to assume that you have changed your name on marriage, but it's still up to you. Some American women adopt their husband's surname, and keep their maiden surname too, as in Hillary Rodham Clinton, but few British women do this. Among British women, Scottish women are much better than English ones at hanging on to their maiden names, in official records at least. So far so good, but as genealogists often discover, many of our ancestors cannot be found because they are not listed under the name that we expect. Leaving aside mis-spellings and mis-transcriptions, there are many explanations for this, and it's important to realise that there was no reason for most name changes to be recorded officially until relatively recently. Even today, to the best of my knowledge, English common law is still perfectly happy with the notion of unofficial name-changing, provided it is not for any fraudulent purpose. In practice, however, your bank, the Passport Office, the Driving and Vehicle Licencing Authority and a host of other organizations take a different view, and insist on some documentary proof. But if you look back to the 19th century our ancestors would have encountered few situations where they needed to produce official documents, so the question of proving identity simply did not arise. If someone asked your name, they would, on the whole, accept whatever you told them without question. So the name on a person's marriage certificate can be different from the name on their birth certificate for all sorts of reasons; for example someone born before their parents married and registered under their mother's surname would grow up using their father's surname. Similarly, someone brought up by a stepfather would be very likely to use his surname too. I have even come across some people in these situations who sometimes used one surname, and sometimes the other, for no particular reason. Then there are people who make a deliberate choice to change their name, again, for a variety of reasons. 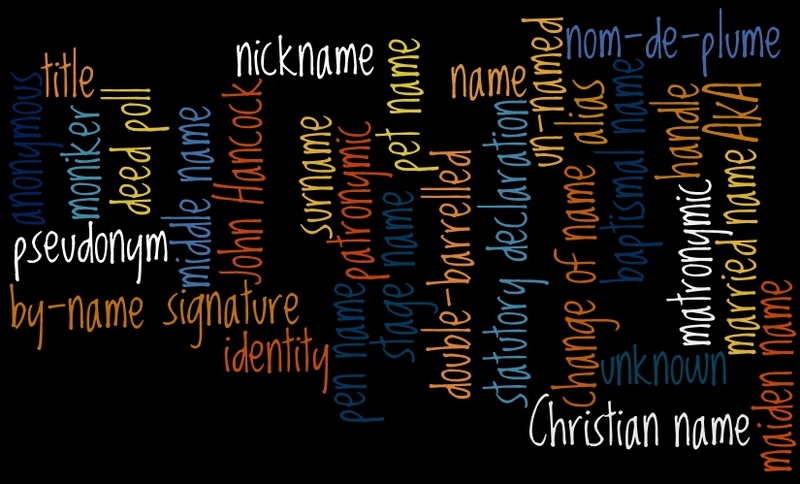 Some people simply don't like the name their parents chose for them, and pick one that is more to their liking; others prefer their middle name to their first name and just swap the order. I have a friend who uses his middle name, and whose wife didn't like any of her three Christian names and was known to her friends by a different name altogether; when they got married some of the guests thought they had gone to the wrong church because they didn't recognize the 'correct' names on the order of service! Then there are people who have been adopted, and are given a completely new name. If you think about your own friends and family there are probably quite a few who don't use the name that is on their birth certificate, for all kinds of reasons. Now think about your ancestors: why would they be any different? Changing your name officially by deed poll or by statutory declaration has become very popular in recent years, and there is an interesting feature about this on the BBC website That's going to be fun for the genealogists of the future! It won't be easy to trace through official records, either, because there is no central registration of legal changes of name in England and Wales. If you want to enroll your change of name with the Supreme Court, and thereby create a permanent official record, it costs extra, and most people decide not to bother. 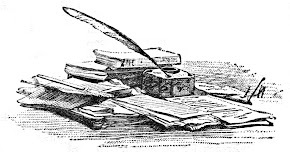 I sometimes have to deal with enquiries about changes of name in the course of my job, mainly from family historians, and it is sometimes difficult to persuade them that there may be no paper trail for them to follow. But just in case you are on the trail of one of the minority of name changes that is in the official records, there is a useful guide on The National Archives website.